Her joy of being accepted into the program has energized and motivated her to complete her hours as soon as possible. She is ready give her children a home in a safe neighborhood where they can play outside without her worrying about their safety. For the past several years Fatu, along with her four children and one grandchild, have lived in a neighborhood where shootings are frequent. The Air Conditioner went out in the summer, fixtures and appliances in her apartment were broken and never fixed. 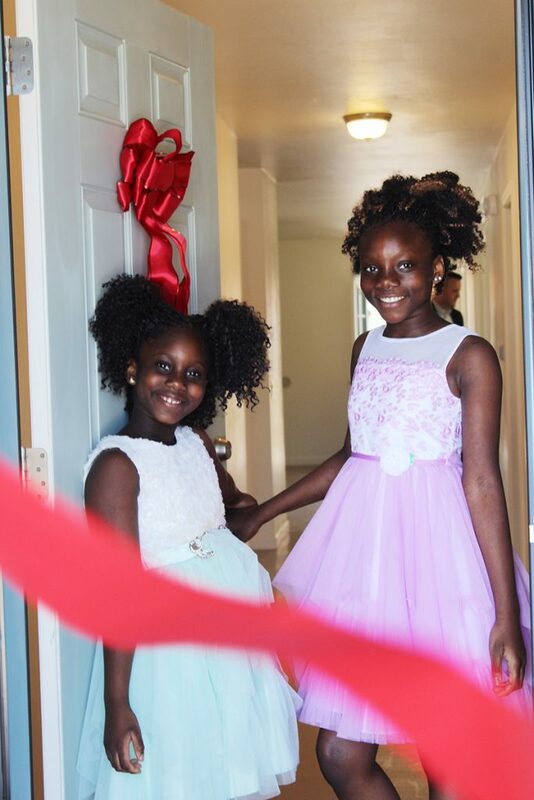 Fatu stayed in the apartment because she can just afford the rent plus the utility costs. That is, until she heard about Habitat. 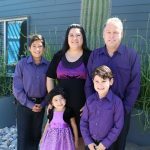 She applied to the program and worked tirelessly to balance a full-time job as a hospital housekeeper at UMC Banner, where she has worked for nine years, with her sweat equity hours. Her coworkers at UMC Banner have been so supportive. 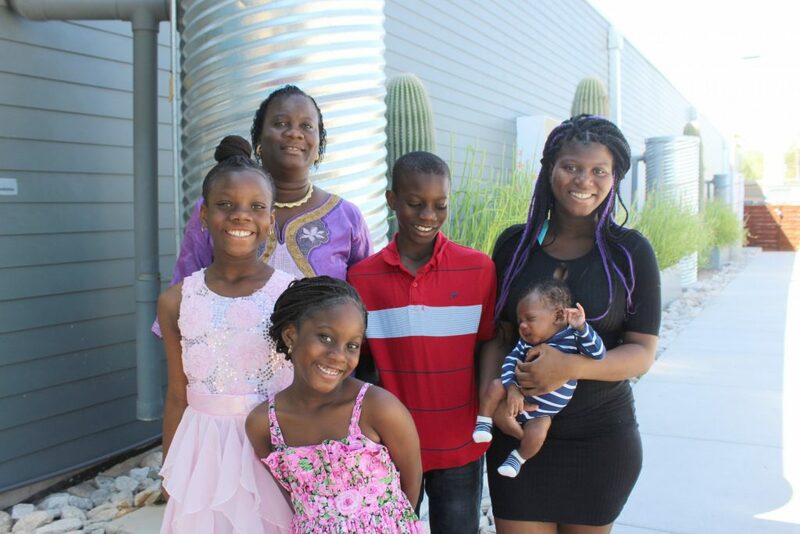 They’ve helped her with learning English, pitched in to babysit her children, and worked out a flexible schedule so that Fatu can work at the Habitat build site. 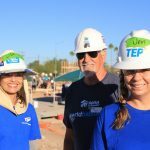 After completing her shift at the hospital from 9 pm-5: 30 am– she worked at the build site almost every day to complete her 250 hours of sweat equity. Even though it was tough to balance, she said it was all worth it for the sake of a safe and decent home for her family. 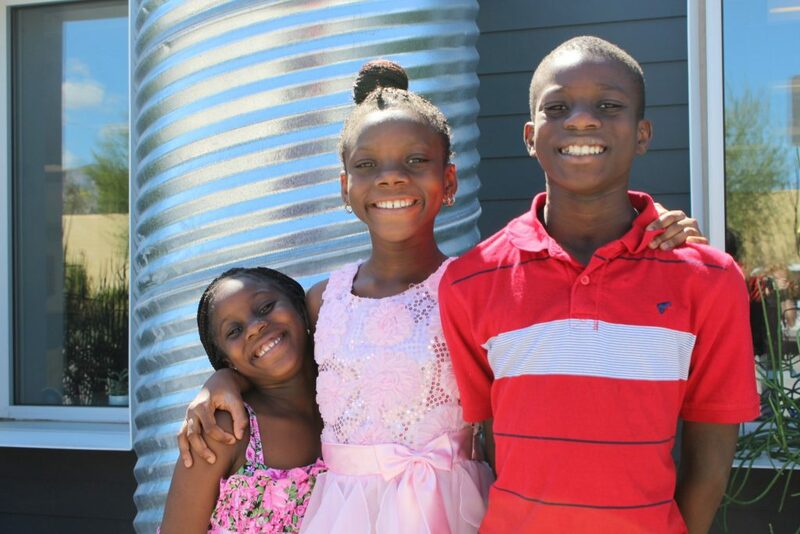 Fatu describes her children as amazing, fun people who love to interact with one another. As a family, they like to watch movies together and make jokes. 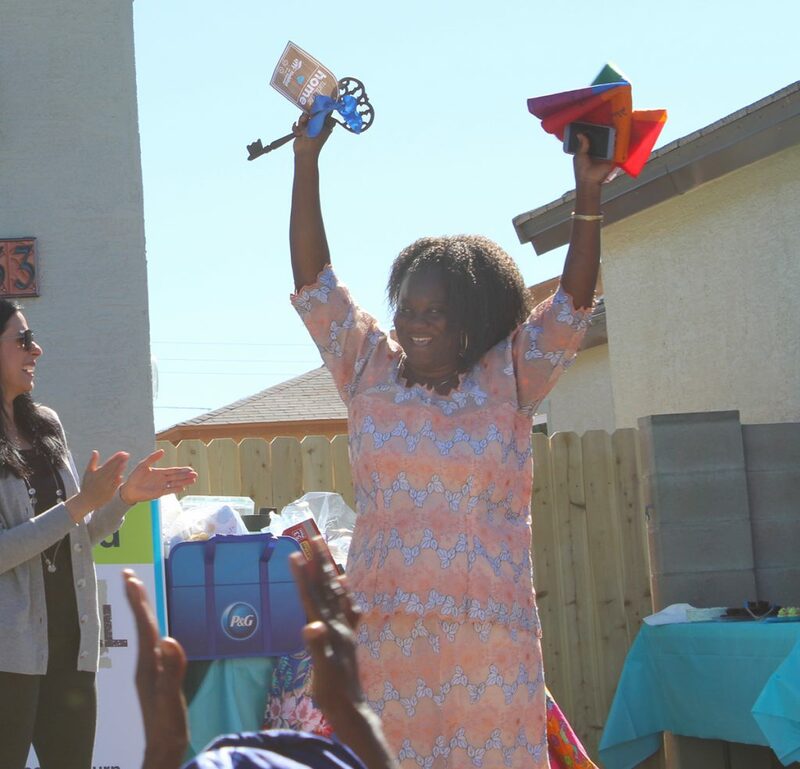 Despite the hardships she has experienced, Fatu calls the US one of the blessed countries in the world. She feels so grateful for the opportunity her children to get a good education, and now for her chance to own her own home. 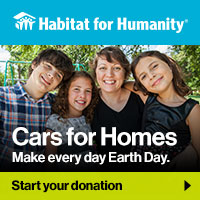 Your support — $20 a month or any amount you can afford — helps a mother like Fatu build a decent place to call home. Give today!